Say hi to Higher Order Interpolation. Since the introduction of variable fonts in 2016, interpolation became increasingly important. During the TYPO Labs 2018 conference in Berlin we briefly reevaluated the current interpolation technique and demonstrated another way of interpolation typefaces. Until today interpolation in type design has been linear, but this limitation should belong to the past. In case you are interested in the technical side of making (variable) fonts, read the case study: Higher Order Interpolation for Variable Fonts. 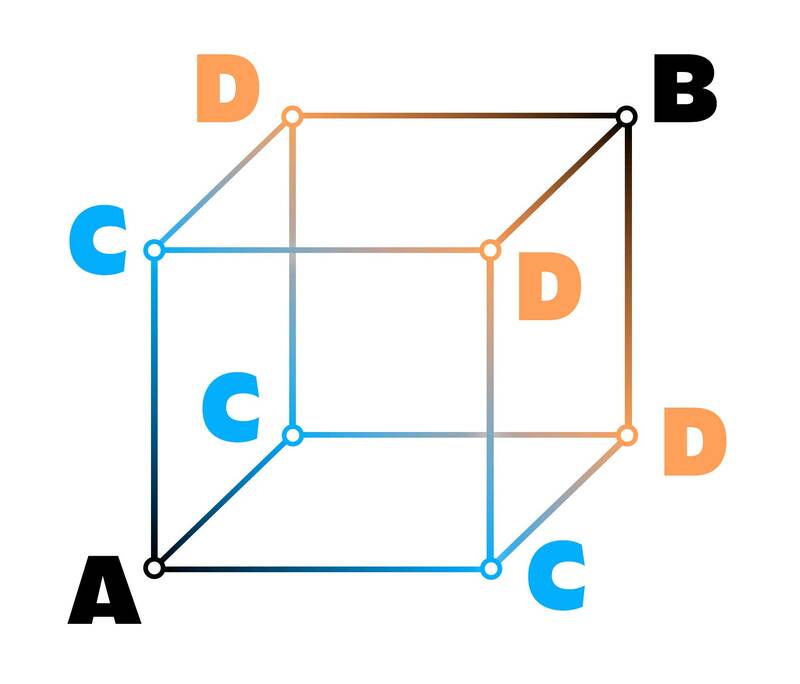 The basic principles of more advanced interpolation in variable fonts, explained without the complicated math. Our typeworkshop website may still be in coma at the moment, the workshops themselves have always continued and are alive as never before. Last year we gave 5 typeworkshops, from Baltimore and Detroit in the USA, to Wrocław in Poland, and São Paulo & Rio de Janeiro in Brazil. This week our first typeworkshop-stop of 2018 is at Sint Lucas in Ghent, also known as the Berlin of the Belgian type scene. We hope to make some new people enthusiastic about letters. It’s gonna be Now or never on the 5th and 6th of February. Warning: this movie is longer than 15 seconds. Even longer than two minutes. And there is a good reason for this. Developing fonts is a tedious task, at least in our case. 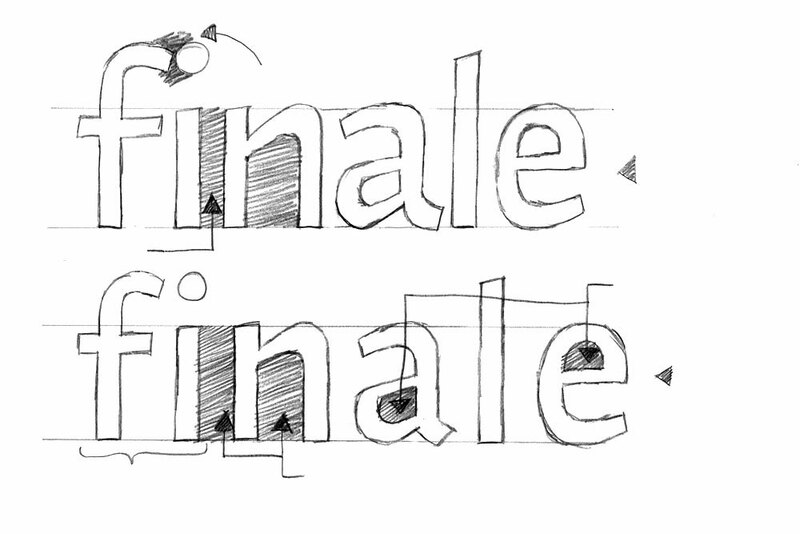 To give a certain clue of time: making Duos, our latest font release, took two more years than we originally planned. In case you are interested to see and hear what’s involved in making the font family Duos, just watch this presentation that Akiem and Bas held at ATypI Montreal. Thirty minutes of slow TV for a fast font. Prefer reading instead of watching? Only want to spend a few minutes instead of half an hour? Those people who are interested in ambiguous shapes, monolinear design problems, writing speeds or coding, will also enjoy reading the story behind Duos. Today is the last day of our ASCII+ Week, celebrating the introduction of Zeitung Mono. Earlier this week we turned our homepage into Responsive ASCII and showed you Subpixel ASCII+ art. But we hear you saying: “yeah yeah, an ASCII website is nice, but we want ASCII movies!” So we give you ASCII movies. But then: Responsive ASCII movies of course. You can change the resolution by enlarging or reducing the window size, or by using the controllers. Also: change the color of the movie by varying between Light to Extrabold styles. We’re happy to announce that yesterday Underware joined Type Network, a group of independent type foundries and individual type designers. Let us explain why we think this is a good idea. The type world changed a lot in the past decade, and joining forces with kindred spirits is a good push in the right direction. For example, currently it ain’t always easy for some designers and other font users to find the right typeface. Not everybody takes the time to follow all font releases, make a list of personal favourite font foundries, or invest lots of time in selecting the right typeface for each project. And that ain’t always easy. It’s a jungle out there. Type Network can help to clear to that path. Visit one place, and find a limited selection of fonts, but with a range wide enough to meet the most versatile demands. We’re in great company at Type Network, the wheat is separated from the chaff, so you don’t have to worry to buy a pig in a poke. Besides, we know many of the people in and behind Type Network for many years, and they are good people. Or as the Dutch say “goed volk”. And for many more reasons we’re excited for this new adventure. A new monospaced font* and Responsive ASCII* are a nice start to celebrate the ASCII+ week, so let’s get one level deeper. Notice the differences between these 2 trees? The image on the left is old school ASCII art, the one on the right is made with our subpixel technique. The resolution is nine times higher, although the point size of the text based visual art remains identical. Pretty sweet, if you ask us. How this is achieved is explained in the article From ASCII Art to Subpixel ASCII+ Art, a must-read for ASCII art & monospaced fonts lovers. No time to read all that? 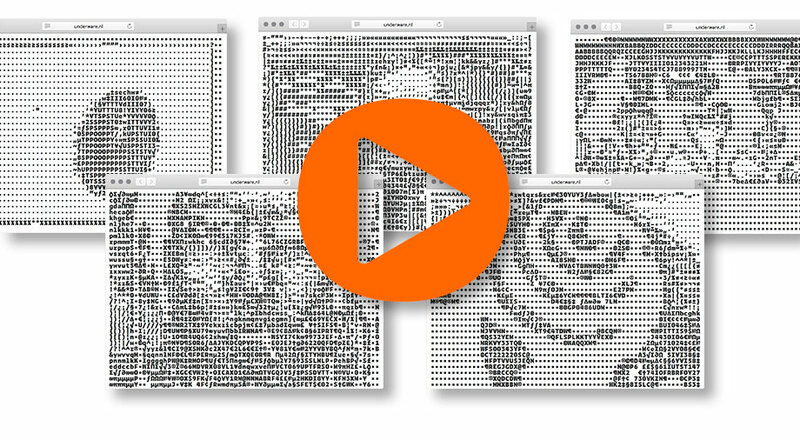 Get your hands dirty with the ASCII+ Art Generator, and play. This tool has been optimized for Zeitung Mono, so the results will always need to be displayed in Zeitung Mono. Why wouldn’t ASCII art, being over 50 years old, adapt itself to modern times? We are all familiar with ASCII art and we all know responsive websites. What happens if these 2 are combined? We released a monospaced version of Zeitung yesterday, and we all know that monospaced fonts & ASCII art are a match made in heaven. Therefore our website has a new homepage, using responsive ASCII. Resizing the window will offer the full experience: the text size which displays the ASCII art remains the same, independent of the window size. As a consequence: the resolution increases once the window enlarges. For all ASCII lovers, and those who love to be surprised: next week, from 26 to 30 June 2017, it’s Underware’s ASCII+ Week. Microsoft wrongfully declared ASCII dead in the end of the 1990s. As real ASCII-kids it’s finally time to show our love. Every day some ASCII news. Stay tuned, more on Monday. The Internet = cats. Pictures of cats. Videos of cats. GIFs of cats. Whatever, as long as it’s cats. Since a while all 3 our studios have The Internet at home. Our studios in Den Haag & Helsinki had a cat for some time, but in Amsterdam it remained pretty silent. But when the kids & partner vote for a cat, and Bas votes against, it’s a good democratic habit to end up with 2 cats. Because the difference between 3 pro votes and 1 against, is exactly 2. Yep. Those same kids don’t have a clue what Twitter (our only social media behaviour) or Facebook is about, but think that The Internet = cats = Instagram (or Snapchat). Because we have The Internet now everywhere, we decided to create an Instagram account, just to add some cats photos. And some lettering. Some more words on Zeitung in the OpenType Variable Font format, about Automatic Optical Size and Automatic Glyph Substitution. The OpenType Variable Font technique is still in development, tools for making these fonts are still in development, implementation and support for these fonts are still in development. However, if you want to experience our recent release Zeitung as an OpenType Variable Font, visit our homepage www.underware.nl in a browser that supports this font format. At this moment that’s only Webkit Nightly, which explains the “Webkit Nightly Bonus” subtitle for a special section completely at the bottom of our homepage. The nerds, the lucky bastards and some geeks, anybody with that browser will see a demo at the bottom of the homepage which is invisible to other visitors using a less advanced browser. They can play with the tuners and experience how changing the size will automatically select the correct optical size of the font family. That’s what you’ve been waiting for, no? Some glyphs, eg. &, will automatically change shape when the point size becomes rather small. Additionally, changing the weight of the font will result in a change of shape of some other glyphs. See how the € swaps from 2 to 1 cross bar when the weight increases. Or how the tail of the Q suddenly doesn’t enter the counter anymore when its weight is too dark. This happens automatically while playing with the tuners, and happens live your browser. No fake news, no fake type. Man, this is 2016 and this is live. Not everything is bad this year. Automatic glyph substitution depending on weight, live in your browser. Automatic glyph substitution depending on size, live in your browser.